As many of you already know, October is Breast Cancer Awareness month and every year there are a ton of amazing opportunities to hep support the Cure! There are many ways to get involved from participating in the Susan G Komen’s Race for the Cure to baking cupcakes and sharing them online to Cook for the Cure. Breast cancer has affected quite a few people I know and is something that runs in my family. Like all types of cancer and other diseases, breast cancer is devastating to a person and family. It takes a toll on your mental and physical health and leaves everybody feeling helpless. Thankfully, there are many people out there searching for the Cure and we can all help them! I am very excited to be teaming up with Kitchen Aid and their Cook for the Cure 10,000 Cupcakes Challenge. The way this challenge works is that for every original picture you of a cupcake you share to Instagram or Twitter using the hashtags #10000cupcakes and #donate, Kitchen Aid will donate $1 towards finding the Cure. 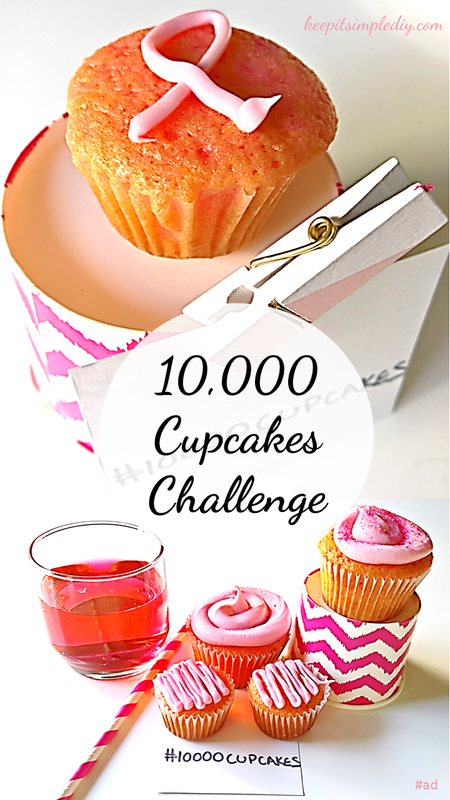 This challenge is so fantastic because Kitchen Aid will donate up to $10,000, so share those cupcakes! To learn more about Kitchen Aid’s 10,000 Cupcakes Challenge and to enter for a chance to win a KitchenAid stand mixer, visit the Cook for the Cure website here. I’d love to see all your cupcakes! Wonderful cause and that is a lot of cupcakes. Love the cupcake challenge! What a great cause to support. I’m seeing pink everywhere I go…lets work together! What a fun way to get people involved in fighting breast cancer! I mean, who doesn’t love cupcakes!?! What a great cause, love your post! I love this idea! I’ll definitely be baking up some cupcakes this week and sharing some photos on social media! What a fun challenge!! Love yummy cupcakes!